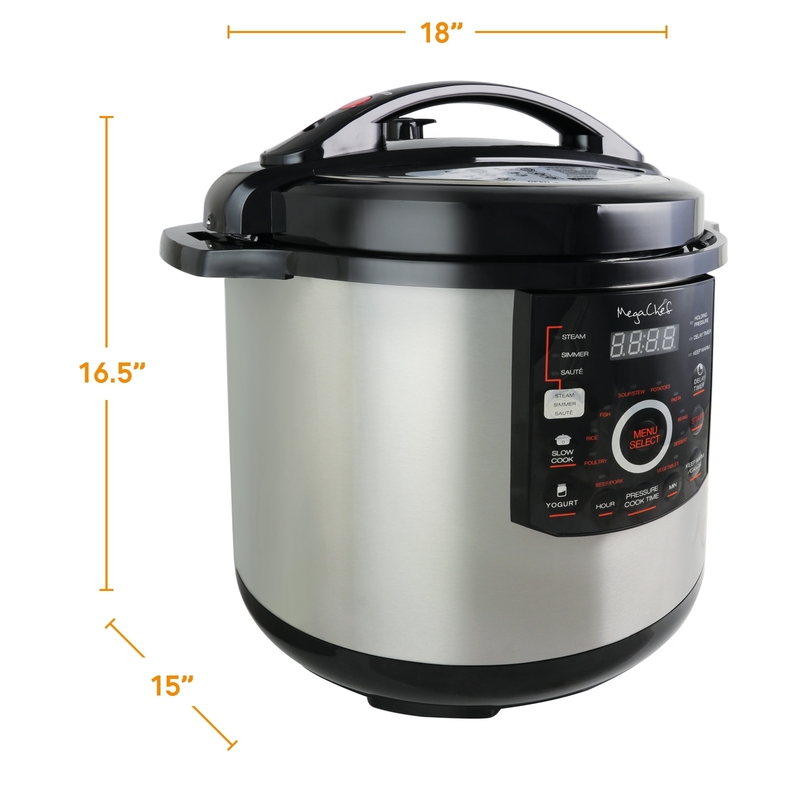 Megachef 12 Quart Digital Pressure Cooker with 15 Presets is sure to become your favorite kitchen sidekick! 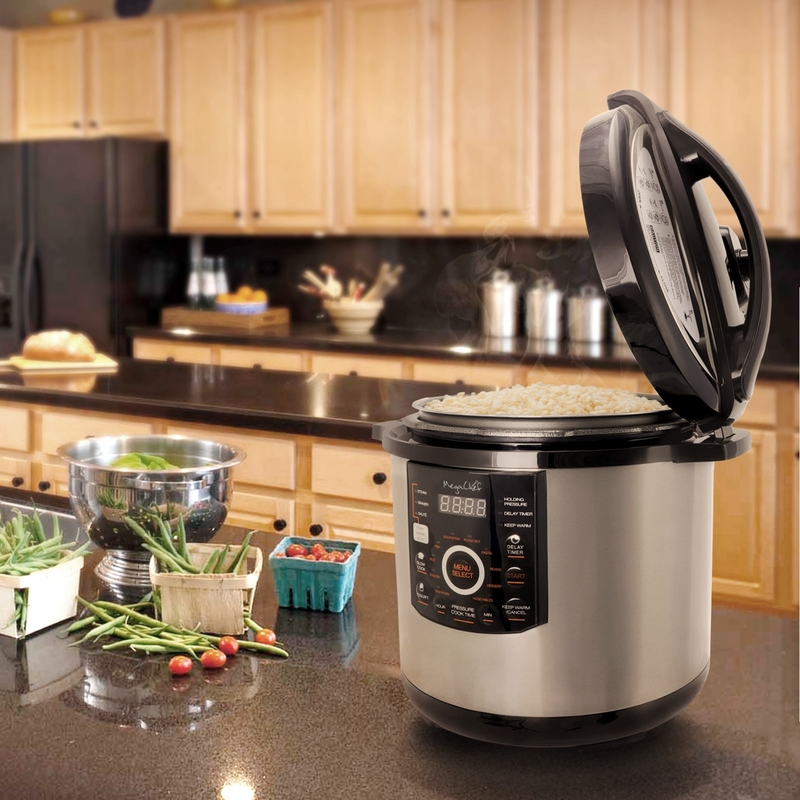 This versatile kitchen appliance will serve you well in those busy times when you need a hot home made meal to serve without the hours it takes to prepare! 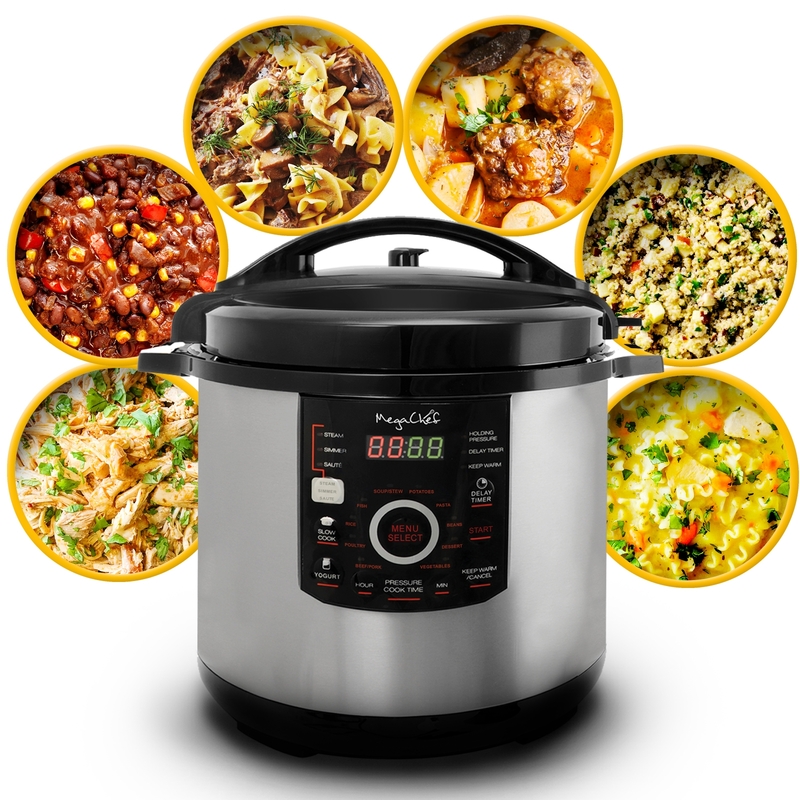 You'll love how easily you can produce the best possible results with succulent and delectable dishes! 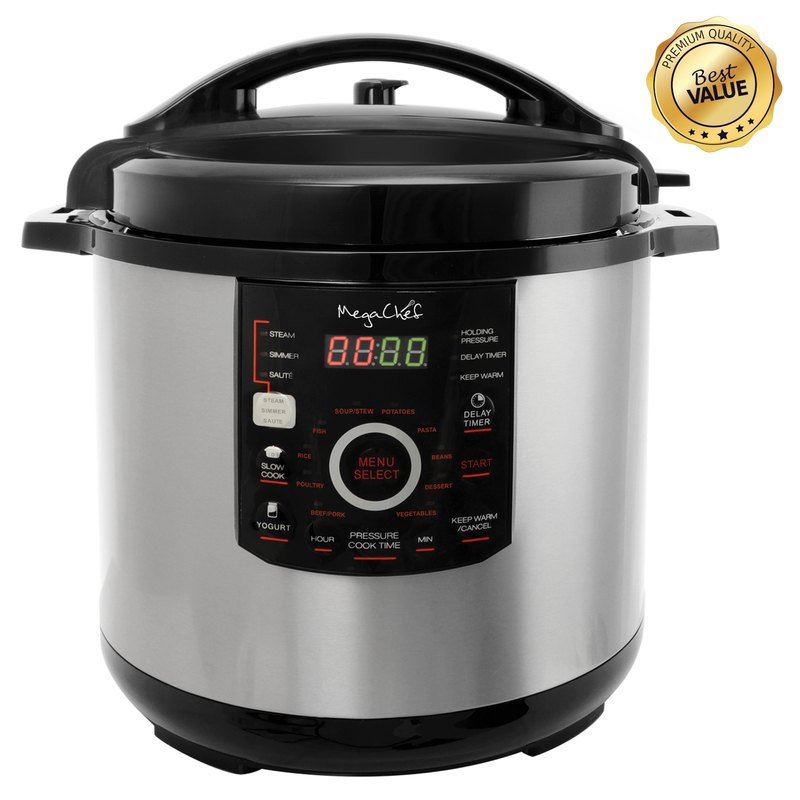 With this pressure cooker you also have the option to cook using the slow cook function for up to 9.5 hours. 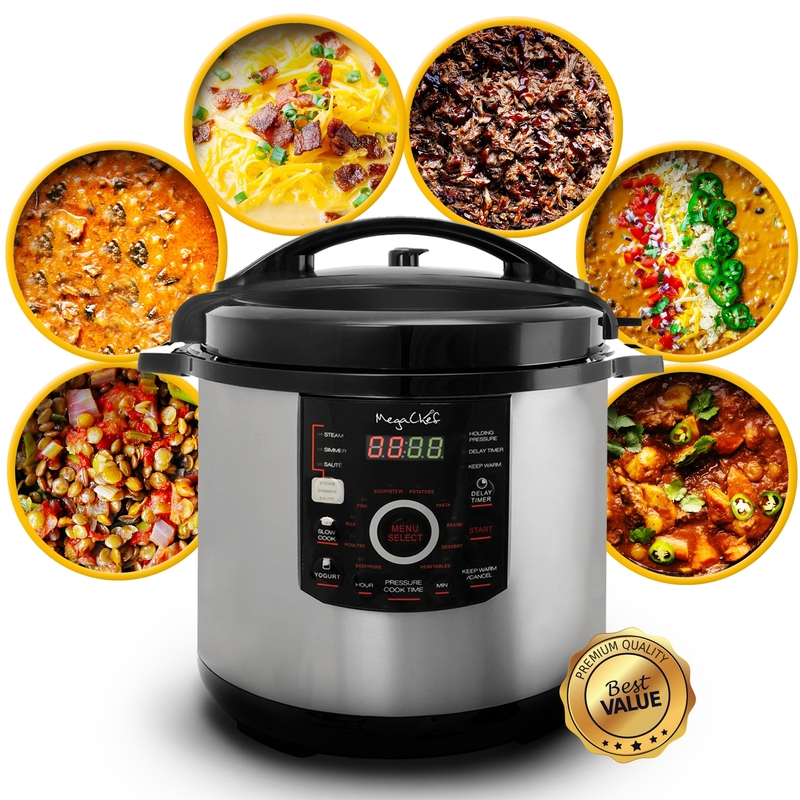 That means some of the heartiest stews and chilies your guests have ever tried, and they're all prepared by you from scratch! 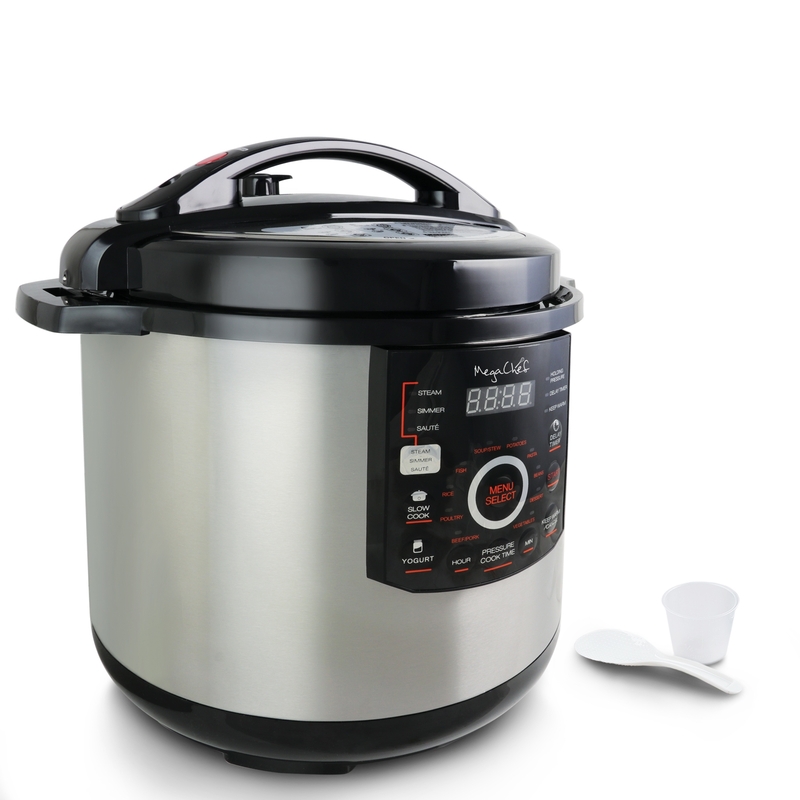 Cooking under pressure allows you to cut the cooking time up to 70% and that means you have more free time to really enjoy the things you'd love to make more time for! Bring the MegaChef Pressure Cooker home today and effortlessly prepare delicious flavorful meals for your family and guests! 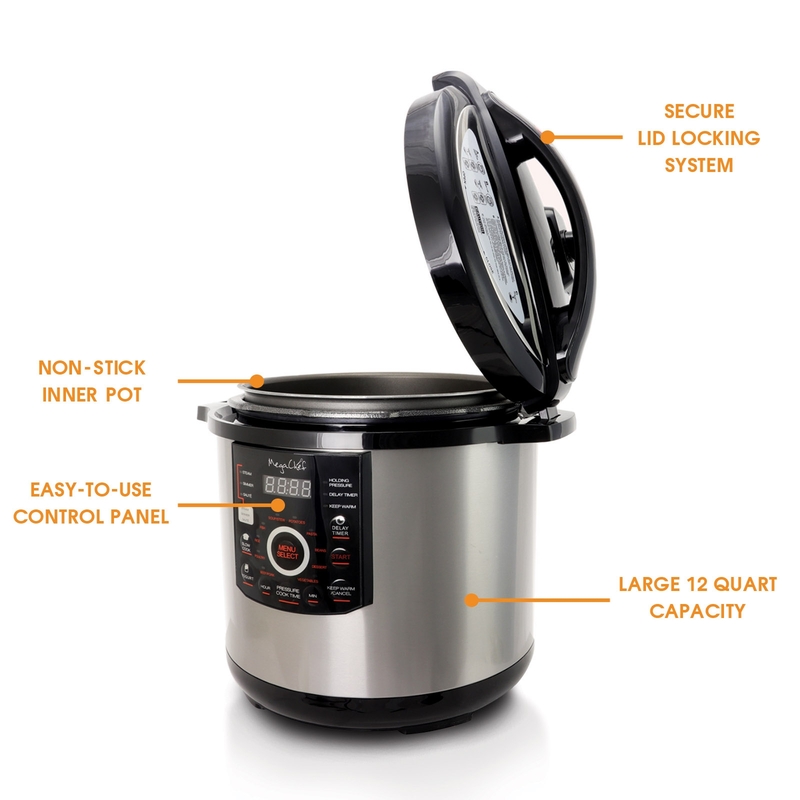 *Pressure Limiting, Valve-allows for steam to escape during cooking, stabilizes the pressure inside the cooker. 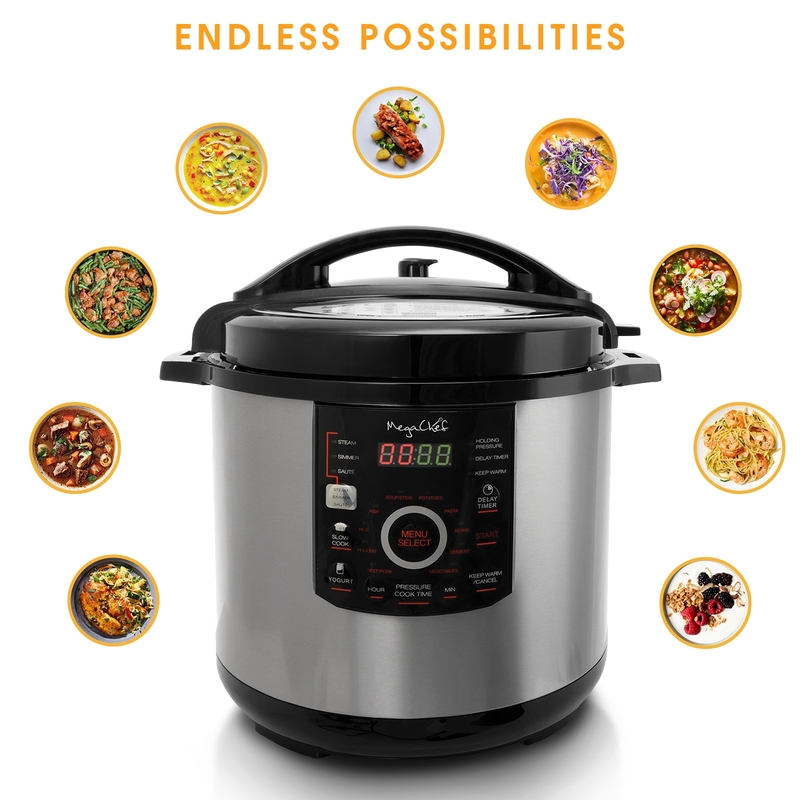 *15 Preset Menu Buttons let you cook up to 70% faster than conventional oven, slow cook up to 9.5 hours, steam, simmer, sauté and even make yogurts!